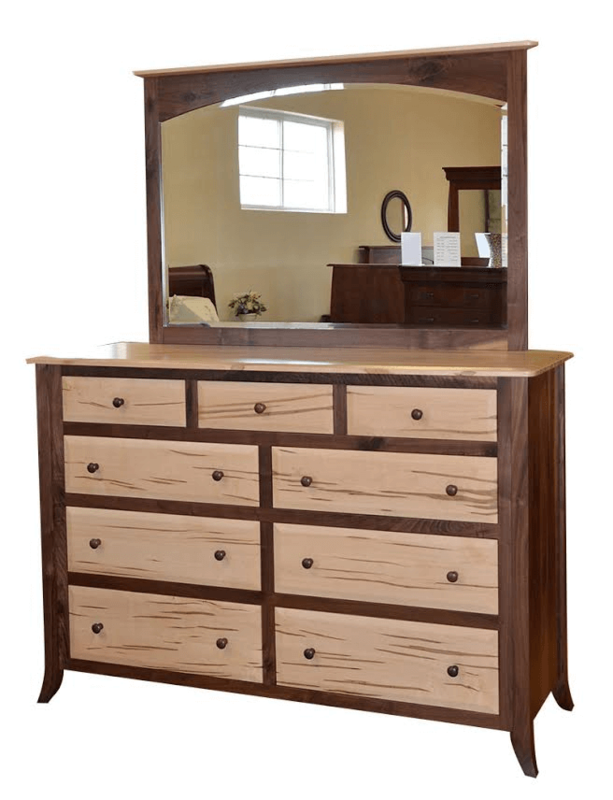 We are always trying to discover and introduce to our customers vendors that combine solid tradition, creativity, innovation and artistry to craft furniture that will endure generations of use. It is also important to us and our customers that our vendors use green practices in their hand-tooled custom construction and delivery. One such vendor is a company from Ohio called Homestead. 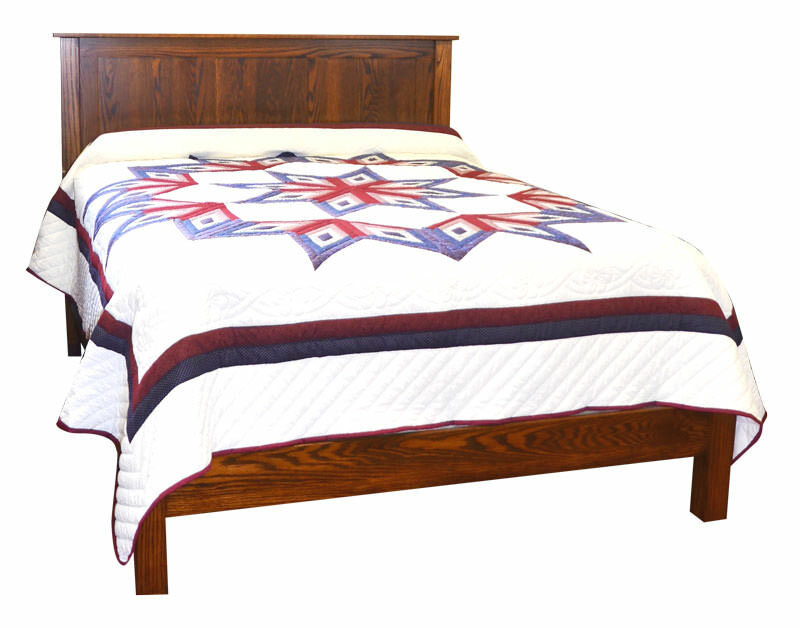 It is one of the largest Amish-owned furniture businesses in Ohio. 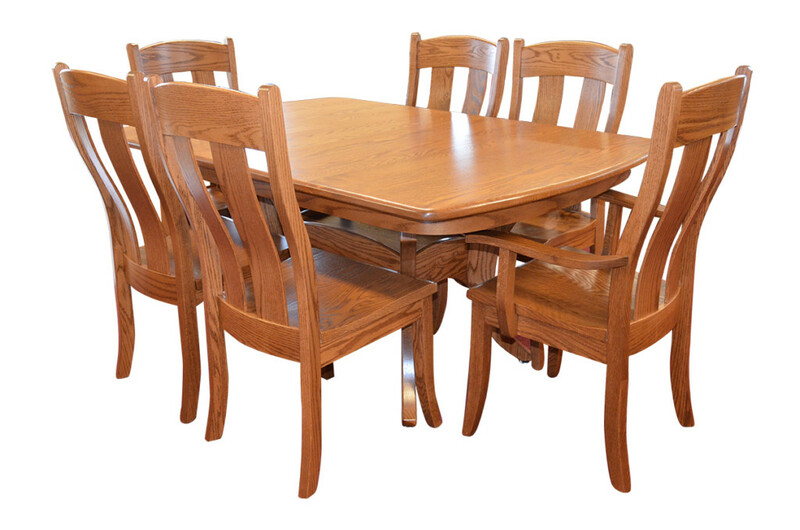 ‎In the past, Amish Outlet & Gift Shop only carried furniture made by the Amish masters from Pennsylvania. Sunflower Hutch by Holmstead. 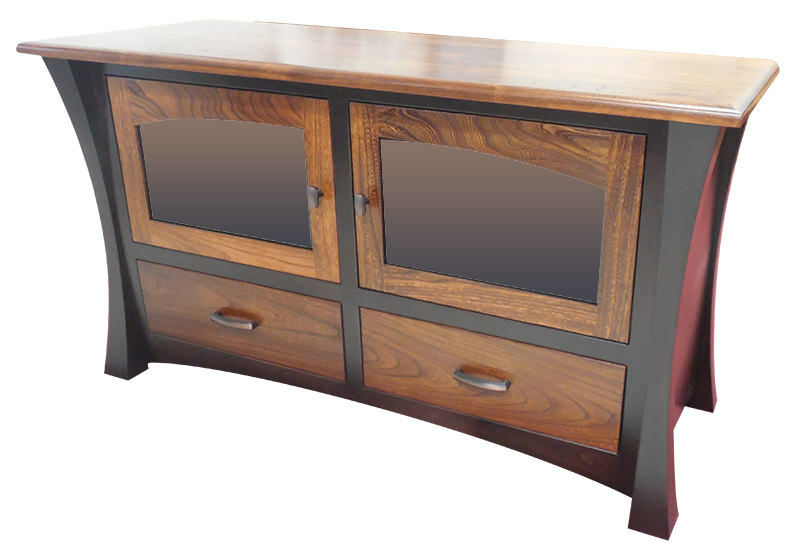 Pictured in rustic cherry/brown maple wood with Michael’s cherry and Onyx stain. 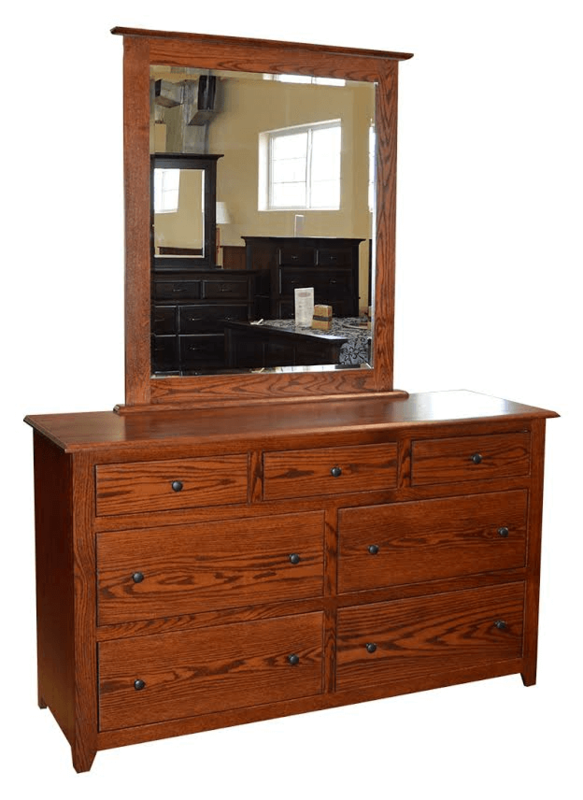 We fell in love with the charm and elegance of the Homestead furniture and our discriminating customers enthusiastically approved our initial introduction of furniture made by the Ohio furniture makers. 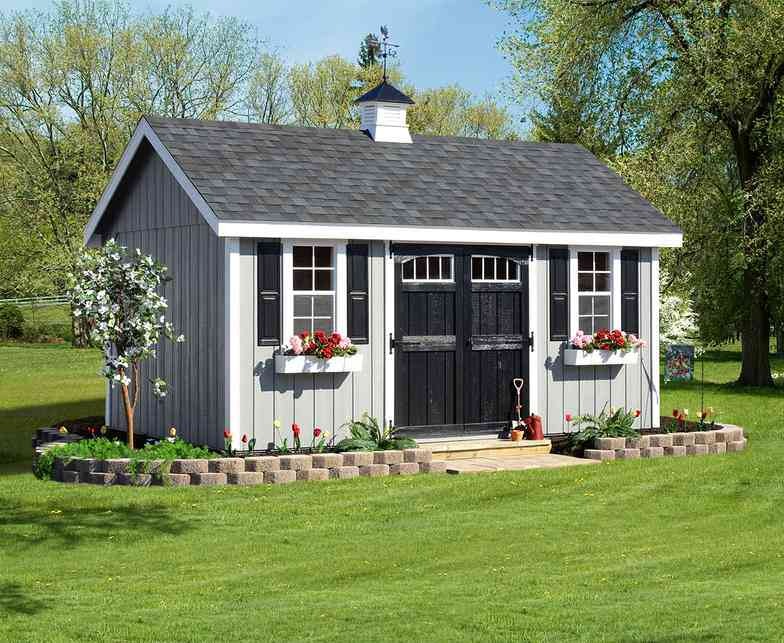 Homestead offers a broad variety of styles that appeal to buyers who prefer traditional Amish designs and to more adventurous, often younger, buyers who like a little more affordable, still well-made furniture that has “character”. 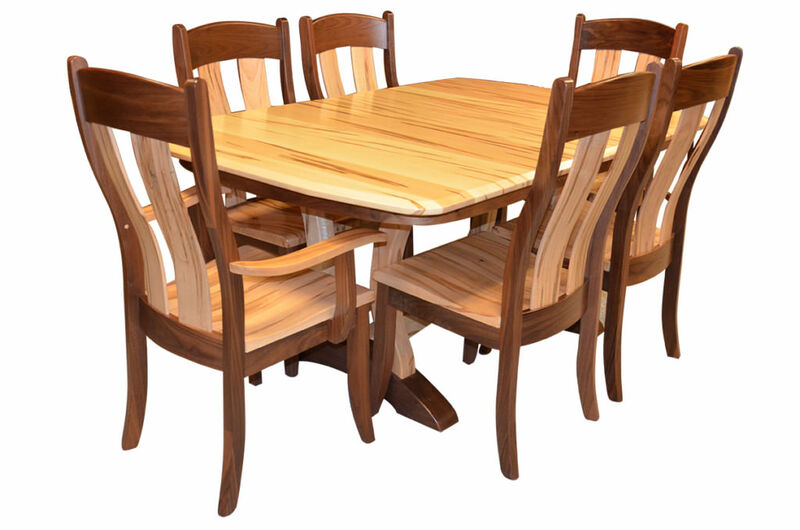 That is why in addition to using wood species traditionally used by the Amish masters – oak, cherry, maple, elm and walnut, Homestead uses reclaimed oak, elm and walnut wood harvested from old barns and other objects. Homestead also uses Quarter-Sawn White Oak, a special cut of the wood that minimizes cupping, splitting, and shrinkage and showcases the stunning medullary rays (AKA ray fleck) of white oak timber which gives it “antique” look. 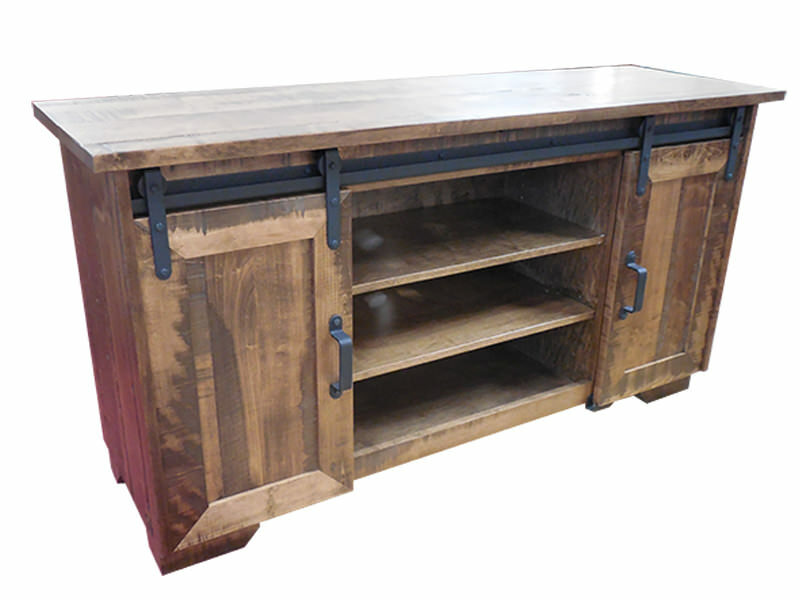 Now our showroom features Homestead Furniture, our first Amish furniture makers from Ohio. 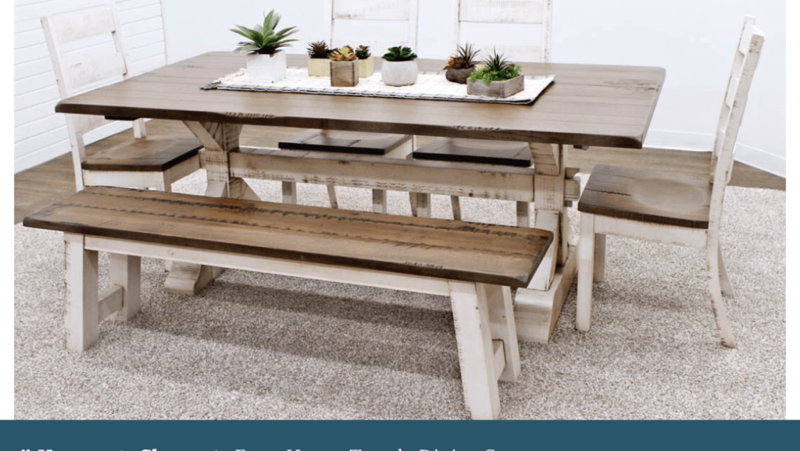 Having been selling Amish furniture for the last 25+ years, we have discovered that our savvy customers today look for versatility and style, quality and value, durability and functionality, and they will only buy items that exactly meet their preferences. That is why personalization is another important factor in our vendor selection. 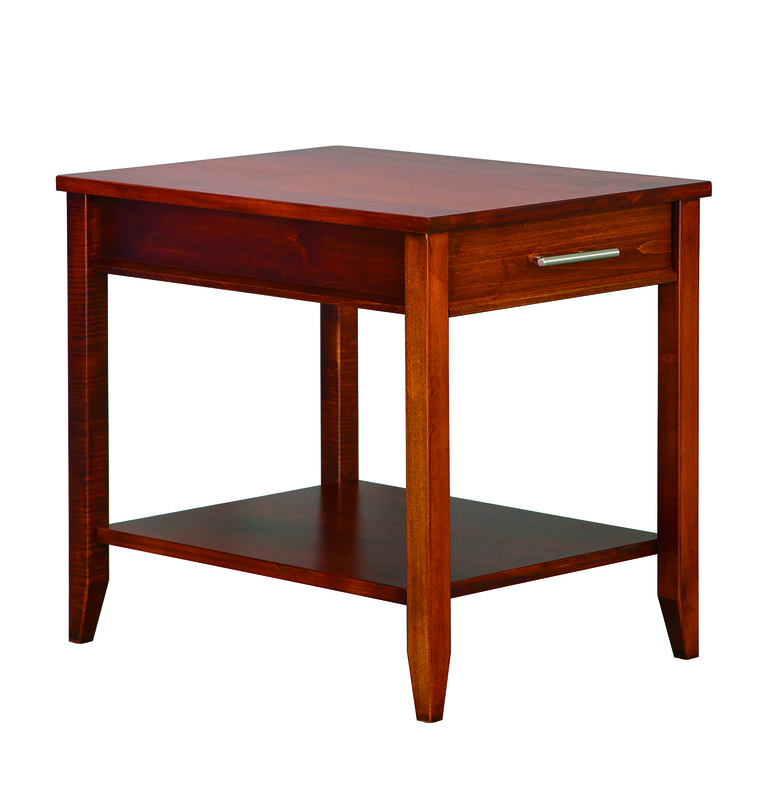 Homestead furniture is highly customizable and comes in a variety of styles. 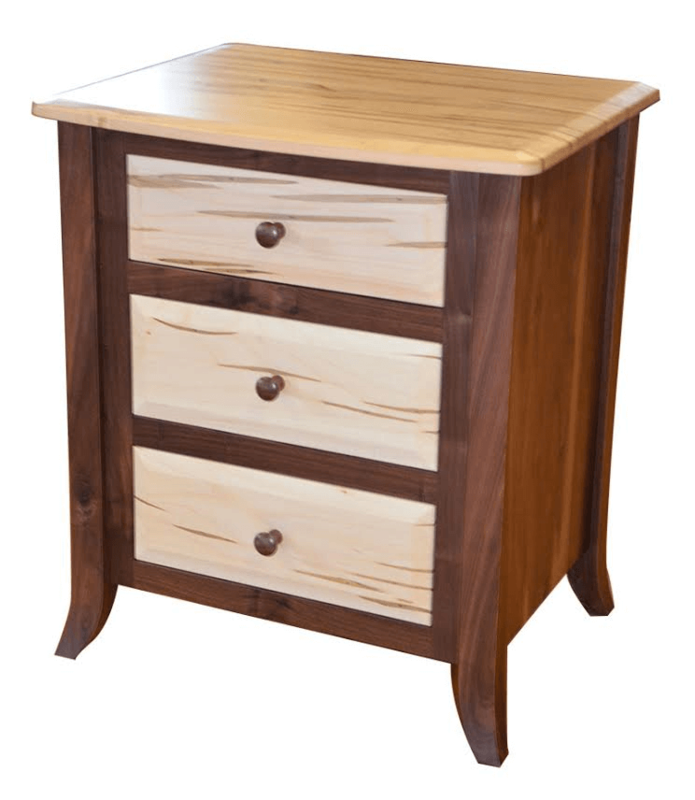 Based on recent purchases, our customers’ favorite wood used in Homestead furniture designs is elm wood with two-tone look. 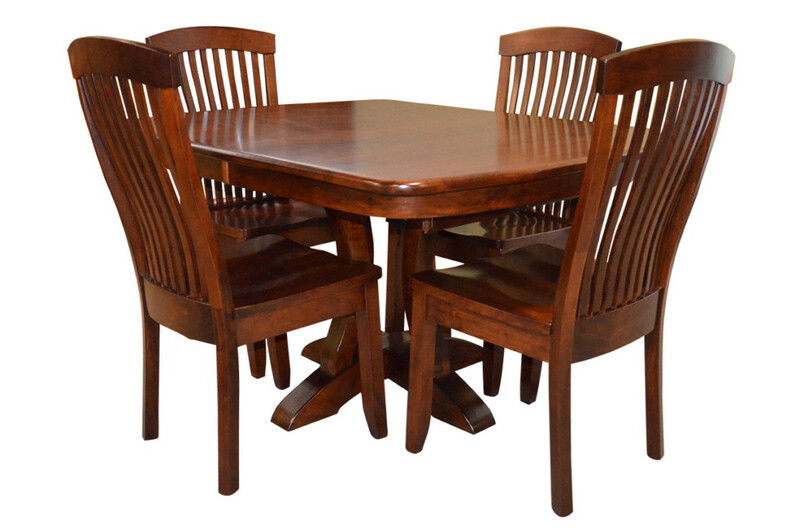 The Galveston Dining set has proven to be a hit among dining room sets. 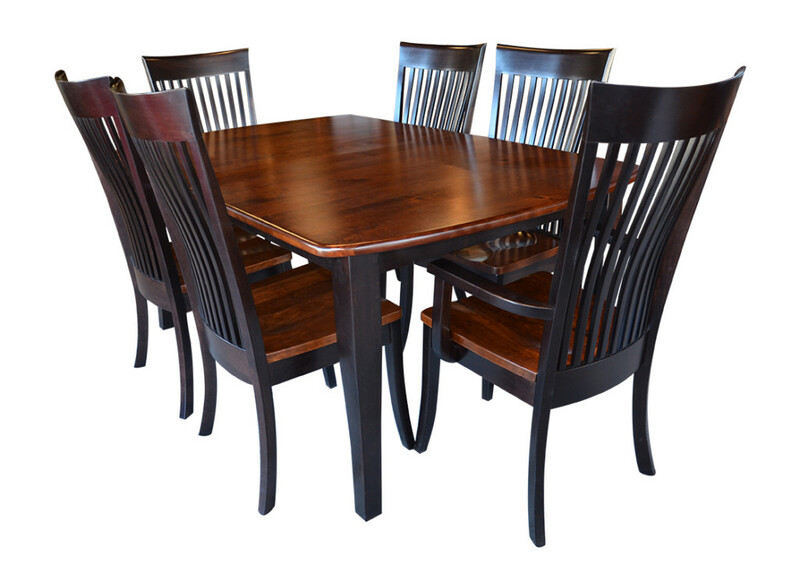 The Galveston Dining table with Austin style chairs by Homestead. 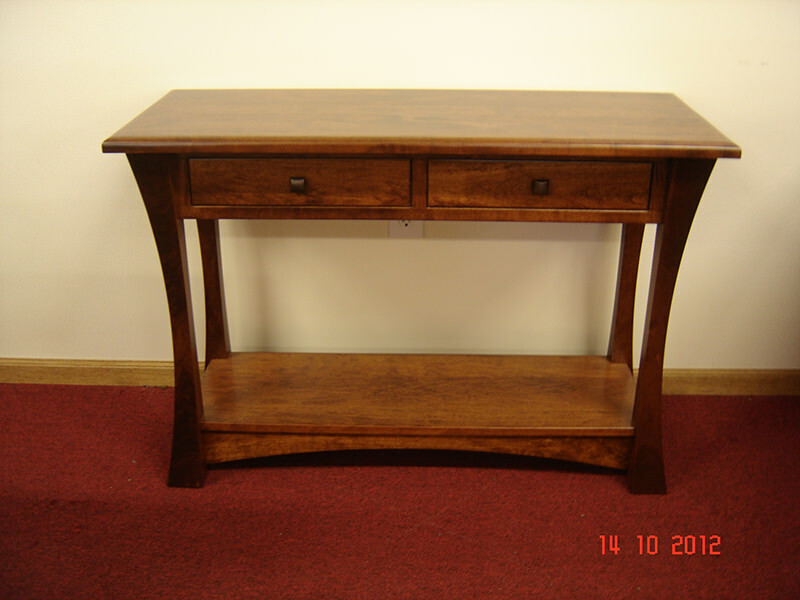 Pictured in oak with vanguard seely stain. 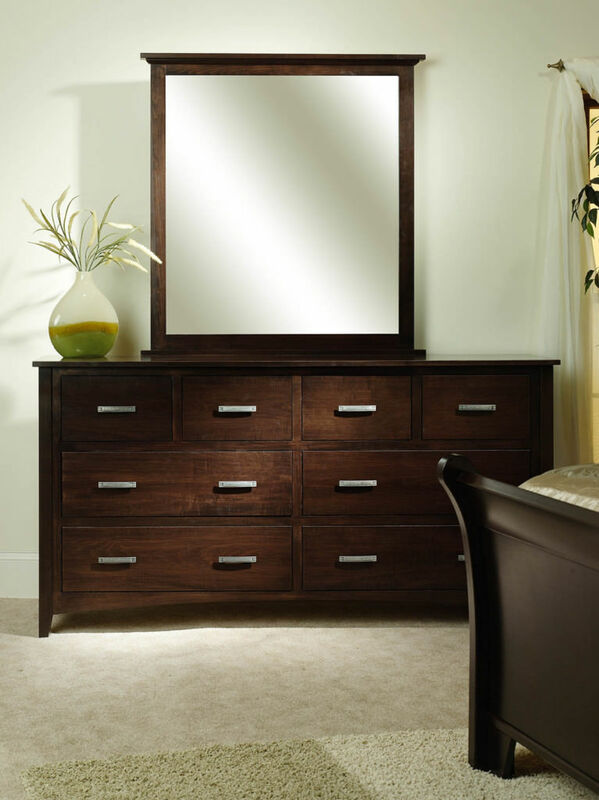 We carry a beautiful selection of dining and bedroom furniture, as well as some occasional pieces by Homestead. 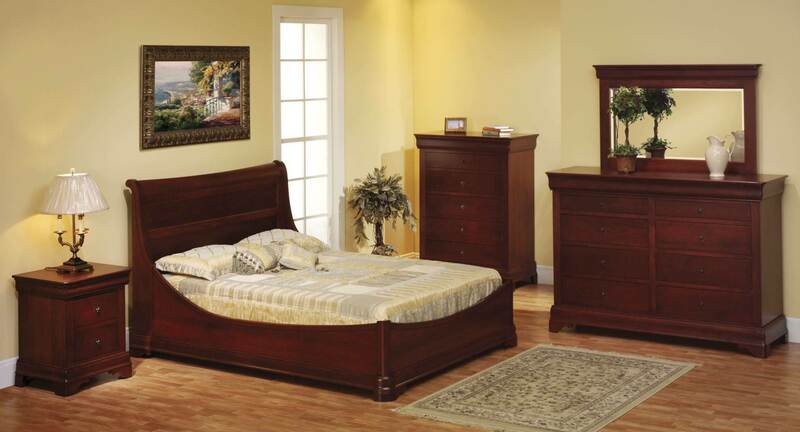 Come to our store and discover Homestead furniture. We think, you, too, would like it! 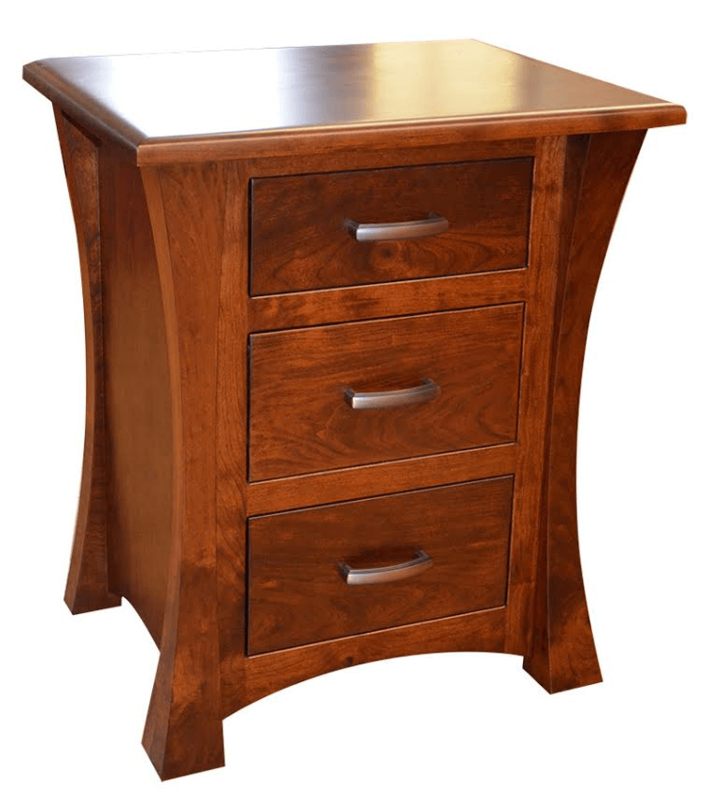 Please take a look at a sample of solid wood furniture by Homestead Furniture that we carry. TO SEE MORE images in this gallery, just click on ANY Image to enlarge and open the gallery. Maple Table and chairs with bench. Maple wood with antique glaze and driftwood top. 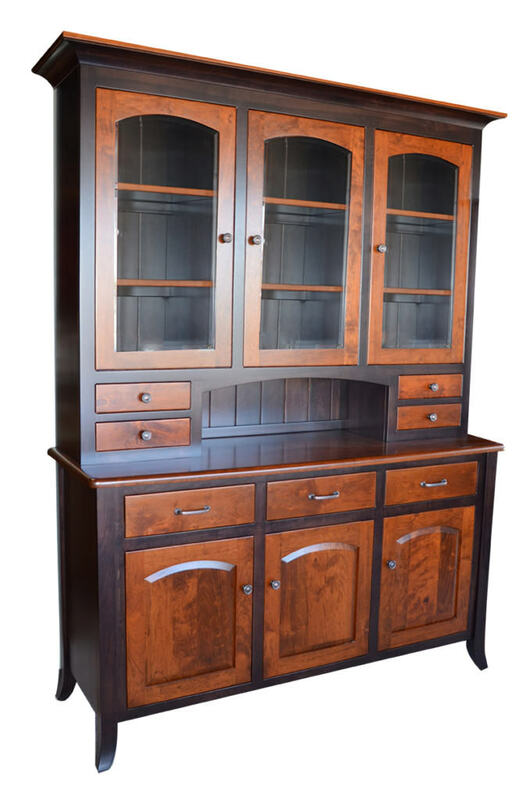 Pictured in Rustic Cherry /Brown Maple wood with Michaels Cherry and Onyx stain. 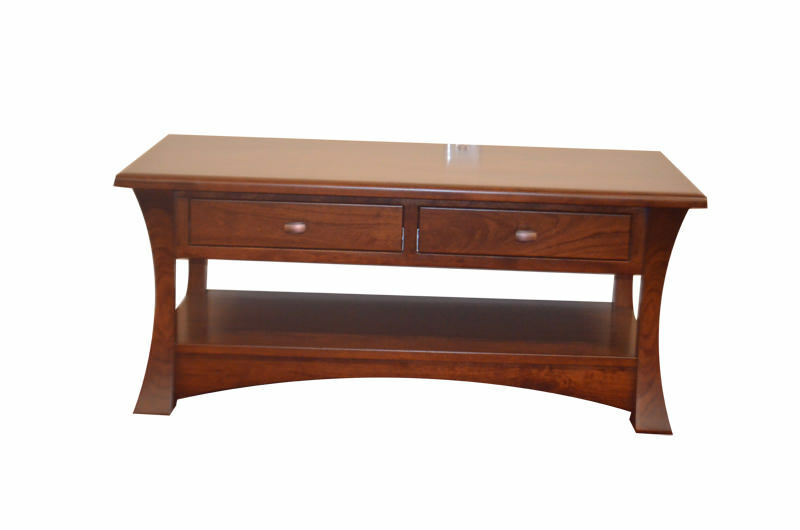 Shown in Wormy Maple and Walnut with Natural stain. Queen bed and night stand with Ebony Inlay. 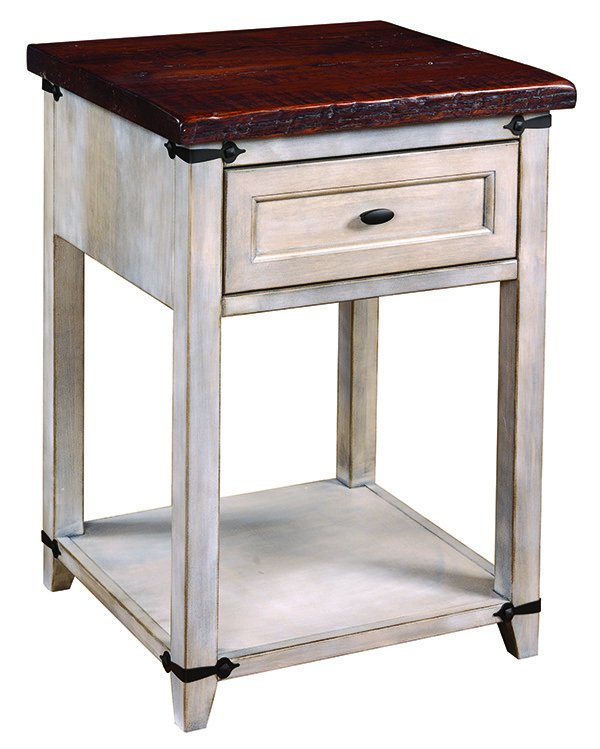 Bedroom night stand from the Sunflower collection shown in two -tone. Two-Tone dining table with bent shaker side chairs and bent shaker arm chairs.Shown in Rustic Cherry and Brown Maple in Michaels Cherry and Onyx stain. Featured in oak with austin style chairs. Picture in Oak with Vanguard Seely stain. 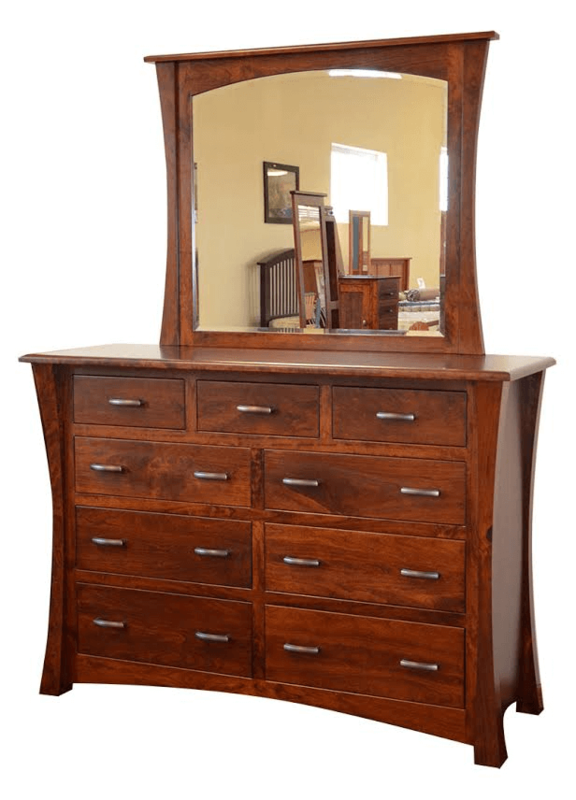 60" stylish curved dresser with beveled mirror.Pictured in Rustic Cherry with Golden Brown stain. 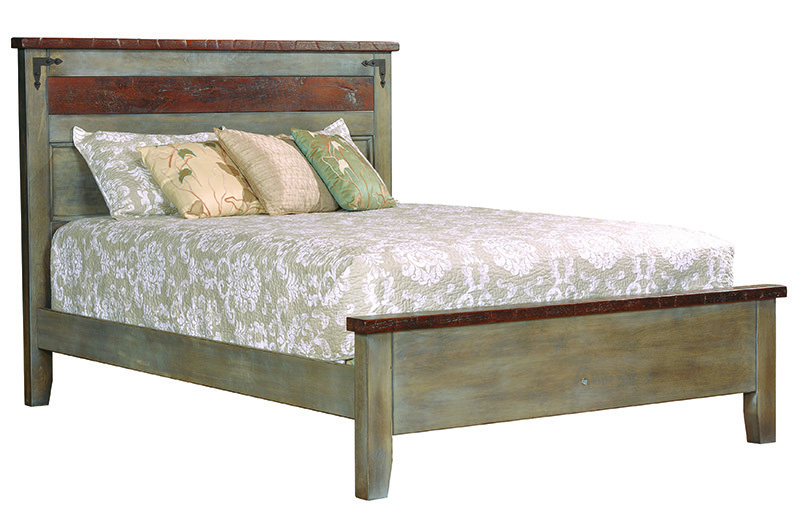 Queen bed with a low profile footboard. Simple shaker style panels shown in oak. 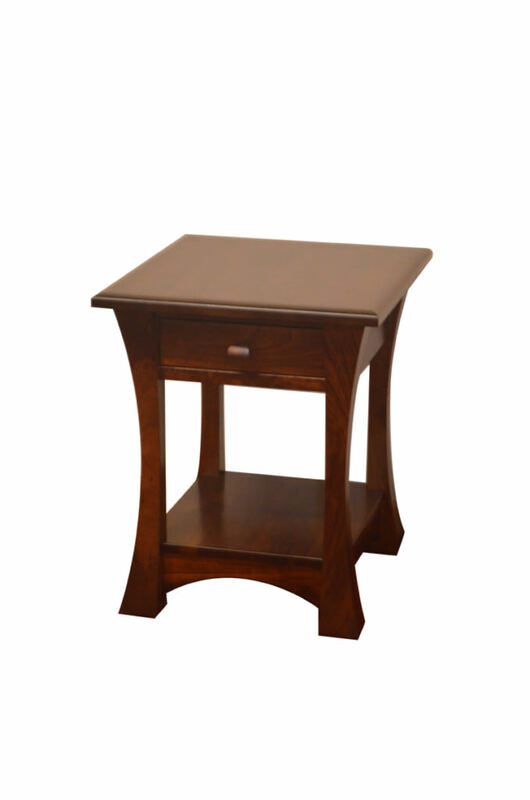 This single pedestal table has smooth rounded corners. Accompanied by empire style chairs. 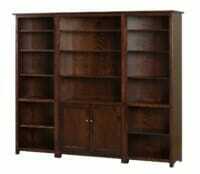 Shown in Cherry with Golden brown stain. 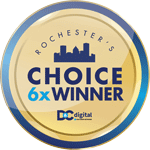 Amish Outlet & Gift Shop is a sixth consecutive year Gold Medal Winner of the Rochester Choice Award in the Hand Crafted Furniture Store category. Visit Us. Discover the difference! Patti has worked at the Amish outlet for over a decade. 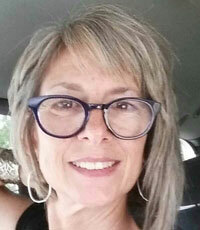 The knowledge she gained about Amish furniture and other products makes her a perfect person to help customers make selections that best match their preferences. "I'm very proud to be selling top quality products that customers are happy with for many, many years." Be sure to say Hi to Patti when you see her at the store.